A theory of change shows how you expect outcomes to occur over the short, medium and longer term as a result of your work. It can be represented in a visual diagram, as a narrative, or both. 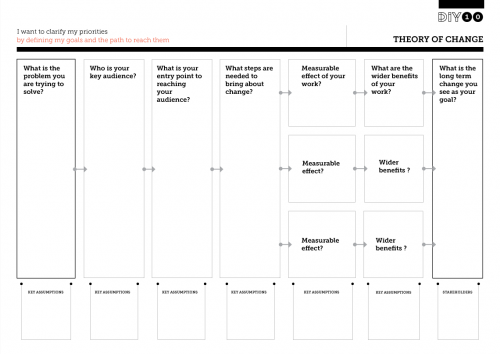 It is most often used as a planning tool, and to present a case to funders.